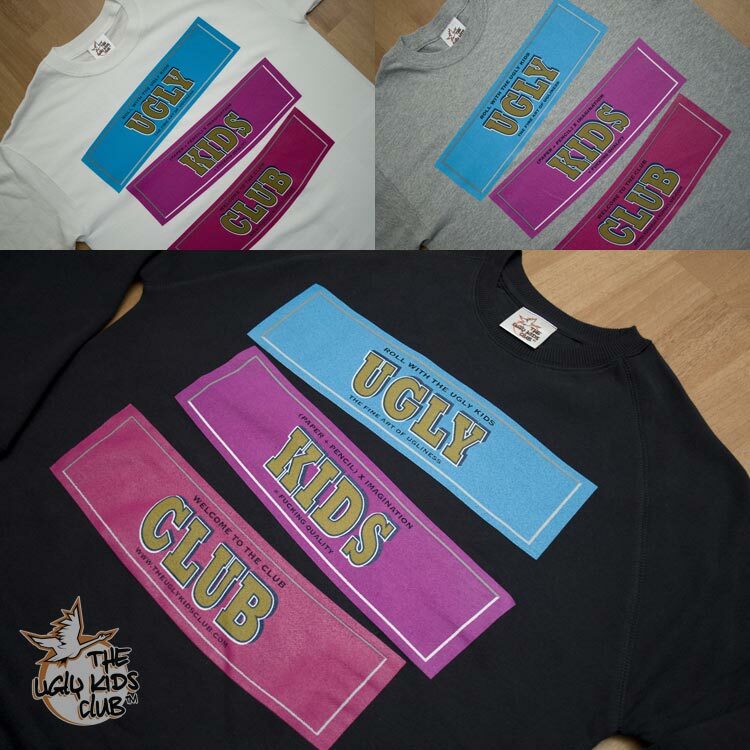 The Ugly Kids Club have just released a couple of new colourways of their ever popular Roll With The Ugly design, now available as both T-shirts and sweatshirts. The two new colourways are the ‘smooth edition’ (red/grey/green) shown above and the ‘midnight edition’ (blue/purple/magenta) shown below. I can’t help but feel that the smooth edition has an almost festive feel about it, so I think I could be rocking that come Christmas day! 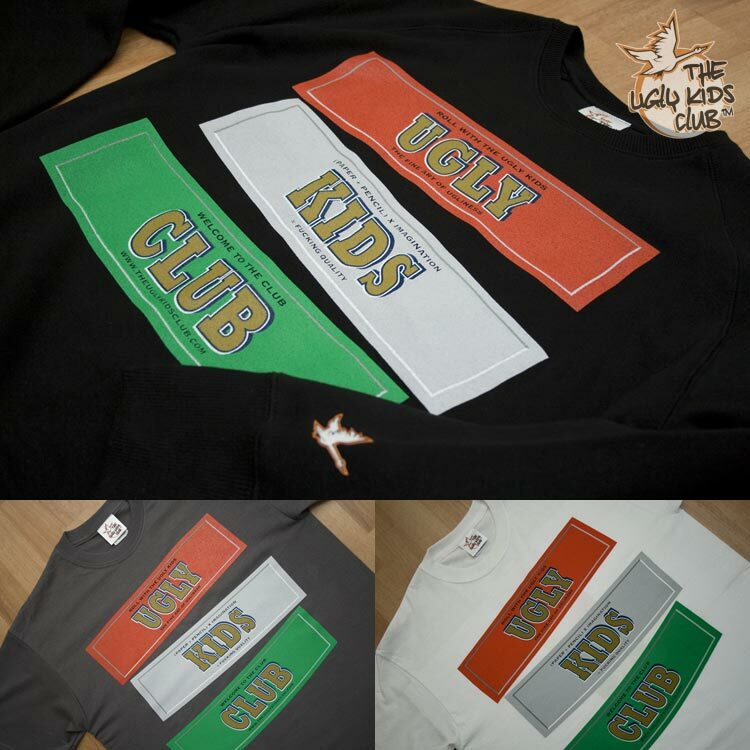 Each colourway of the design is limited to 25 black sweatshirts and two T-shirt colours (both also limited to 25), so there’s really no time to waste if you have any hope of busting one yourself. The drop wont be officially available until next week, but thanks to a little hook up, we can provide you with the link to purchase all of the pieces right away – you can get them all here. I really like the jumper. a purchase for synnaman????? tempting, tempting … it would haver to be the midnight edition jumper for me.